The “House of the Future” is supposed to be a wildly advanced place where we can control everything by just pushing buttons. Although there are some components of today’s homes that match up with yesterday’s vision of the future, some things are still annoyingly old-fashioned. For all of those things, SmartThings will turn any home into the technological marvel that people in past generations dreamed it could be. 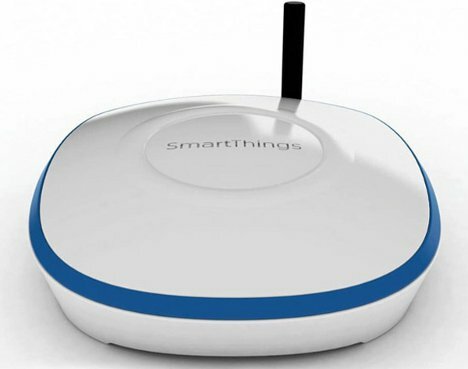 After starting life as a Kickstarter project, SmartThings is poised to strike out into the real world and become a staple in every technophile’s home. The starter kit comes with a hub and three sensors, which can alert you to events happening in your home like people coming in or leaving, unexpected motion or the presence of someone when you aren’t home. 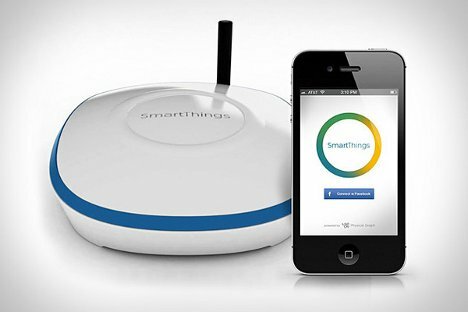 In the future, the team behind SmartThings anticipates that the system will be able to lock and unlock doors, turn lights on and off, monitor thermostats or smoke detectors, and all kinds of other cool stuff – all via the internet, from anywhere in the world. The ultimate vision of what the system could be in the future doesn’t quite mesh with what it can do right now, but that’s to be expected for something that’s in its early stages. And yes, there are some separate devices that can do some of these actions now, like turning lights on and off or changing the house temperature when you aren’t there. But so far, no one has come up with one system that can handle all of these tasks, and that’s what we’re really excited about. See more in Home & Personal or under Gadgets. August, 2012.